Thanks to the collectors who have purchased prints last year. I will be increasingly using Twitter and Instagram to promote my work. Please also follow me there for special posts and updates. Limited editions of museum quality prints from “Dublin Before the Tiger” are available. I am working with the best German printing houses to provide the highest quality in archival fine art prints. My limited edition prints simply are and will always be the highest quality record of the lost cityscape of inner city Dublin. Please drop me a mail to receive a detailed PDF catalogue with further information on how to order. “Bargaintown” has been selected for Berlin’s Lange Nacht der Filmfestivals, and screened recently at fsk Kino in Berlin. A showing in September, at Dublin’s RECDP, as part of Culture Night 2016, was sold out in advance. I am moved by the appreciation garnered by the film, and hope to keep bringing the film to audiences in Ireland and worldwide. Please book your tickets in time. After a successful Dublin run of my restored 1988 film “Bargaintown”, we also have a Berlin premiere. “Bargaintown” is a poetic documentary on life along the Liffey Quays in the late 1980s. 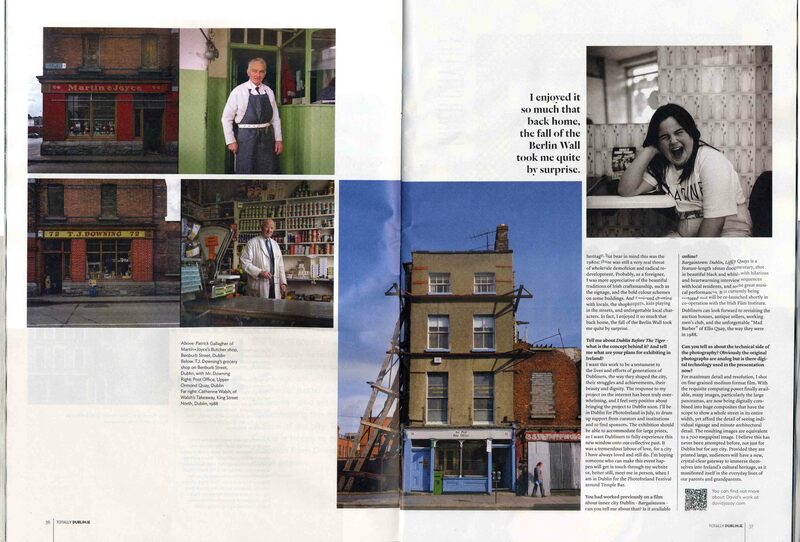 Featuring interviews with shopkeepers, antique dealers and local residents, it is a testament to the lives and opinions of a vanished Dublin, years before the celtic tiger changed the very fabric of the inner city. Highlights include an auction at Tormey brother’s, a night of song and dance at the old Workingmen’s club on Wellington quay, and performances by veteran bluesman Frank Quigley. The press found Bargaintown to be “unbiased and unabashed, concerned and affectionate, and stunningly photographed” (Cork Film Festival), “a remarkable documentary” (Mary Leland), and “worth watching” (David O’Connell, Cork Examiner). The Irish Times’ Tara Brady gave it a 4 star review. Bargaintown will open this years Shebeen Flick Festival. Thank you for making the Dublin premiere of my newly restored 1988 film “Bargaintown” such a resounding success. The beautifully restored version of this classic film will be archived in the National Film Archive. The 2015 restoration was supported by the Irish Film Institute and Goethe-Institut Dublin. Thank you, dear collectors and friends, for your truly encouraging support, and interest in my work. I am happy to have provided you with a number of carefully crafted fine-art prints, manufactured by the finest Berlin printers. Prospective buyers, please note that my quotes for the initial offer of prints of “Dublin Before the Tiger” are soon to be updated. As of September 1, a new price list will be available: Please drop me a mail to receive a detailed PDF with further information on current pricing and how to order. Of course, technical details and edition sizes remain unchanged, but the new, slightly increased prices will reflect the growing public interest in this body of work. Make sure to check the “Dublin Before the Tiger” gallery for images made newly available. 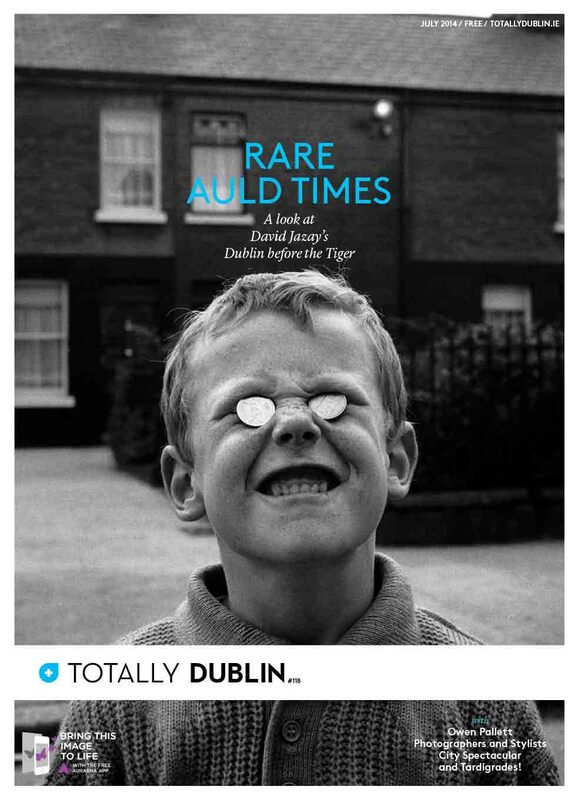 After much public demand, I am happy to announce that selected editions of prints from “Dublin Before the Tiger” are now available. Apologies for taking so long, and make sure to check the updated gallery for images never before seen. Please drop me a mail to receive a detailed PDF with further information on how to order. David Jazay interviewed by innovative UK blog Mull it Over. Akin to the classic Proust questionnaire, a set of identical questions are answered by various contemporary artists. Ein neues Interview in deutscher Sprache. A new, in-depth interview that sheds light on David’s artistic influences and intentions behind the “Dublin Before the Tiger” project. With great pleasure, I wish to invite you to a talk I will be giving in September, on the opening night of Dublin’s Street Stories Festival. I will give an insight into the restoration project of “Bargaintown” (see below) , show some new Irish work and shed light on my unique method for re-creating the past. The Street Stories Festival will take place on the weekend of 26th to 28th September. There will be talks, live music, walking tours, stalls, films and exhibitions. The event will kick off on Friday night with a talk by David Jazay on his photographic story of inner city Dublin in the 1980s and ’90s. Apart from working on “Dublin Before the Tiger”, I am currently in talks with the Irish Film Institute to restore a film I directed in 1988, about Dublin’s inner city. 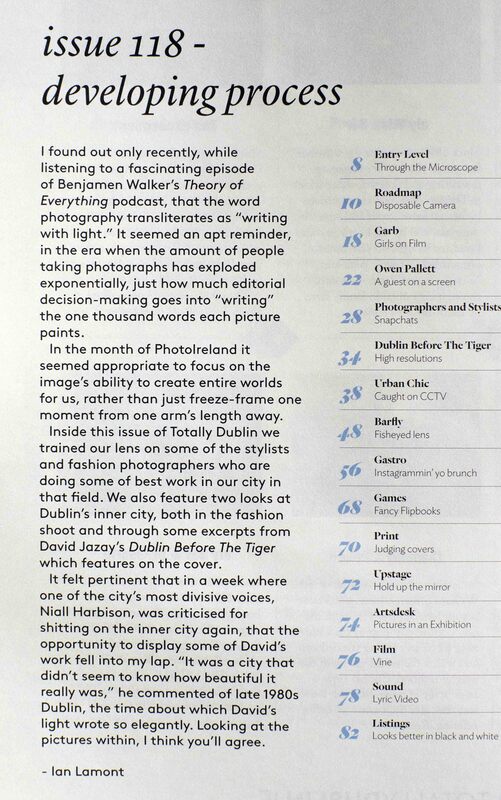 The last few months have been truly amazing, with both media and popular response to “Dublin Before the Tiger” pouring in. I wish to thank all you journalists, bloggers, readers and fans for your ongoing support, and appreciation of this unique new window onto Dublin’s past. 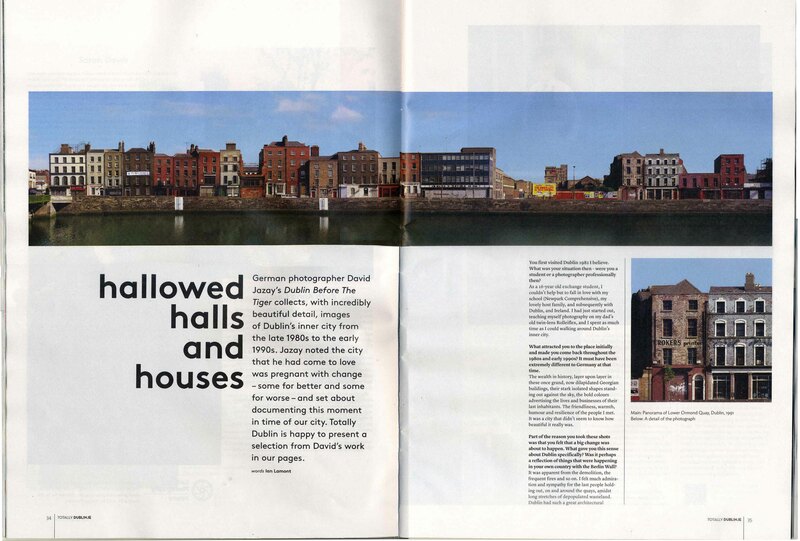 To coincide with Photoireland 2014, Totally Dublin did a beautiful cover story on my project, see some tearsheets below.